Barad also published numerous other articles in the fields of physics, philosophy, science studies, poststructuralist theory, and feminist theory. Helle Brøns: I mentioned Karen Barad (both in my answer and at the seminar), stating that it is noticeable that a new theory such as Karen Barad’s Agential Realism – which takes its vantage point in Niels Bohr’s theory of complementary just as Jorn did in his triolectics – makes specifically feminist conclusions from observations that are in many ways similar to Jorn’s (exceeding the classical contradiction between subject and object, mind and body, discursive and material). This goes to show, I think, that Jorn’s theoretical and artistic approaches generally have a lot of potential – though in the case of gender our contemporary engagement would reach different conclusions than Jorn did himself. I know that you have an opinion on her work, Joao. I would love to hear more about that. I will soon be attending a seminar on feminist materialism, so I hope I will learn more about her theory and see if I find it usable. Anyway, I hope it is OK, if I get back to you with some questions after that, Joao. Joao Leao: I have been meaning to write to you about your questions concerning the “rediscovery” of Complementarity in the contemporary context of post-modernist and feminist studies because I believe I owe you an explanation and justification of my views on this. I must confess that I was not counting on addressing this subject on my essay because I found them peripheral to my own focus and that is the reason I did not mention it the talk. But I think you may have convinced me to take another look and, since I got back, I have collected and reviewed the material I had on the subject and gathered some more. I will definitely include some discussion of this in my essay/book but I am still looking for how to fit it in the overall project. Let me just give you a short summary of my qualms with Barad and Co that may be helpful for your upcoming seminar but, please, take my opinions with a grain of salt since I am, I admit, a bit opinionated! I read this book when it came out and found his thesis, let us just say, unconvincing. It’s reception was quite negative in both the postmodernist and the physics camp, at the time, still reeling from the “Science Wars” episode (my guess). There is a particularly detailed and damaging critique of the book in the doctoral thesis of Makoto Katsumori which you can find on the web (Here is the TOC and abstract: http://dare.ubvu.vu.nl/bitstream/1871/13150/2/2title_page.pdf and is now published in book form. Katsumori expresses most of my qualms much better than I can so I will just conclude by pointing out that Plotnitsky has reacted by publishing TWO more books on Bohr and a third one will be out this year! These, surprisingly, do not deal with any post-modern authors or thematics but aim at “reconstructing” (rather than deconstructing) Bohr’s ideas much in the same way as a good dozen of philosophers of science have been doing since the mid 80s. Unfortunately these books are hardly any better than the first, in my opinion at least! But I will spare you any more trivia on Plotnitsky after I point out that Barad shares with him (and with Slavoj Zizek in his book on Schelling) the notion that Bohr’s Complementarity holds some profoundly revolutionary and liberating novelty of metaphysical, epistemological or (in Barad’s take) even ethical proportions. This happens to be exactly what Jorn very explicitly denied and in what, I believe I can show, contemporary physics fully agrees with him! which echoes much of her book and now adds Hamlet’s ghost (why not?) for added drama! I am afraid, however, she misses the point of the play and takes some of it a bit too literally while, on the physics side of her writing she sins in the other direction and ends up making statements that are simply misleading. 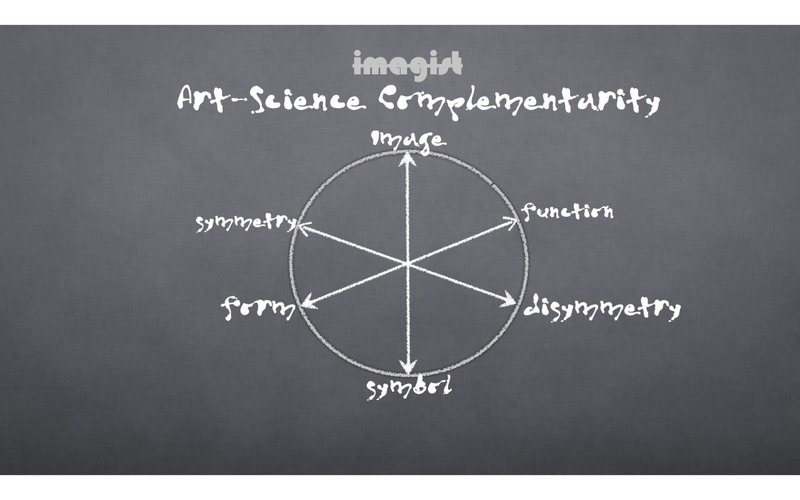 One positive thing I can say about her is that she pays some attention to the notion of Entanglement which, as I mentioned in my talk, came to replace Complementarity as the central feature of quantum theory. On the other hand I don’t really think she understands what Entanglement is from her statements in this article and she manages to mystify further something that is already pretty bizarre to begin with! Unfortunately for her we do not know yet enough about this feature to make philosophical use of it, much less to base an ethical theory on it! About her proposal of Agential Realism I have to read a bit more to give you an assessment, though I am very dubious that Quantum Theory is able to provide support for ANY type of Realism whatsoever and there are many examples I could mention of well minded but failed attempts in that direction. I should add that I am partly sympathetic to this trend towards a feminist materialism since it looks to me that it invites reflection on the current state of women’s condition and struggle in the world rather than on the mostly sterile academic debates of last century. But I fear that relying on old chestnuts like Complementarity is not going to help. 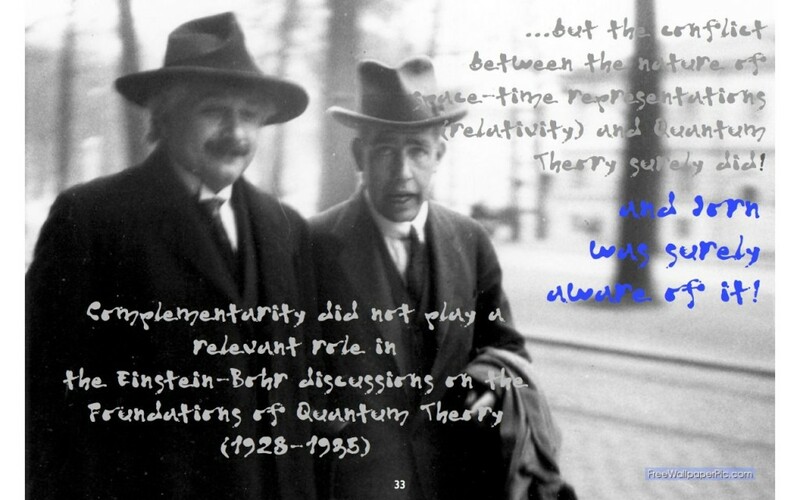 Happily (quantum) matter has generously revealed much deeper layers of dialectics (and triolectics) that Bohr never dreamed of and are waiting to be acknowledged! I am talking about anti-materialism, dark materialism, metamaterialism and such which, for now, are a bit of a joke but promise to arm us with much better metaphors and strategies in the near future! This is a brief report on Joao Leao’s contribution to the ‘Cut and Thrust: Reconsidering Asger Jorn’ seminar workshop which took place at the Museum Jorn in March 2012. Joao Leao, Senior Systems Specialist at the Smithsonian Astrophysical Observatory in Cambridge, Massachusetts, made a courageous attempt to present his talk in an understandable way to the non-physicists attending the seminar workshop (basically everyone else). The report below includes some additional comments, as well as his answer to my question about Jorn’s notion of triolectics in relation to Bohr’s theory of complementarity. The slides inserted below (except for the very last one) were part of Joao’s presentation and present drawings made by Jorn. As I admittedly won’t be able to reproduce Joao’s arguments here, this entry will say something about his conclusion. In order to let even the conclusion make any sense to you, I will have to explain some key notions such as complementarity, dialectical materialism and triolectics, first. Niels Henrik David Bohr (1885-1962) was a Danish physicist who made foundational contributions to understanding atomic structure and quantum mechanics, for which he received the Nobel Prize in Physics in 1922. Bohr mentored and collaborated with many of the top physicists of the century at his institute in Copenhagen. 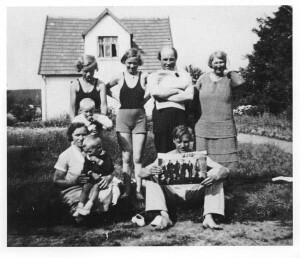 What triggered Jorn’s interest in Bohr was his so-called Copenhagen Interpretation (1927) which deals with the notion of complementarity, a fundamental principle of quantum mechanics. It holds that objects governed by quantum mechanics, when measured, give results that depend inherently upon the type of measuring device used, and must necessarily be described in classical mechanical terms. Further, a full description of a particular type of phenomenon can only be achieved through measurements made in each of the various possible bases — which are thus complementary. For example, physicists currently conclude that light behaves either as a wave or a stream of particles depending on the experimental framework – two apparently mutually exclusive properties – on the basis of this principle. Bohr found philosophical applications for this daring principle. 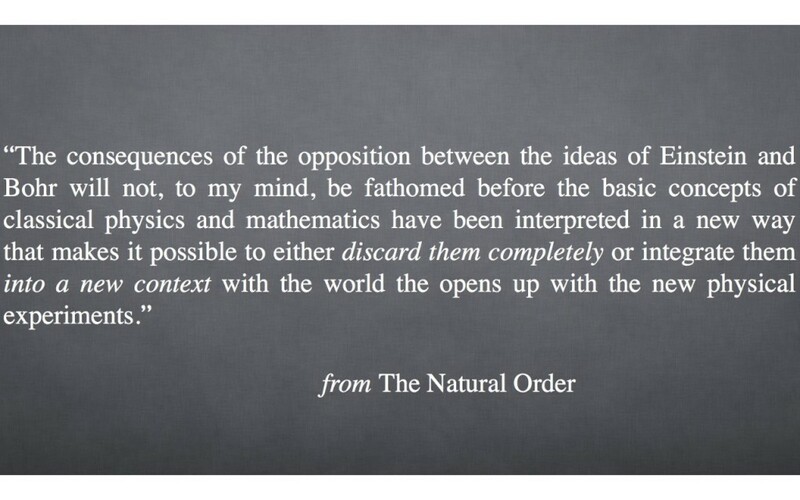 It basically is the theory of the necessity of contraries as well as a new philosophy of science. About his motivation to do so Jorn himself said: “The classical world picture belongs with the classical form of language and will perish with it. There is clearly a need for a new ‘language’. A completely new elementary basis for description, a new pictorial form is necessary”. (p.34) The idea that “In common with dialectical materialism, this way of looking at things locates the subject or interest as a basis for every observation”(p.34) built the starting point for Jorn to further philosophize on Bohr’s theory. However, Jorn also poses some questions more directly related to Bohr´s theory, questions which he cannot answer but which he would like scientists to respond to. These questions deal with space-time and light, and it is these questions, or propositions for further thinking, which Joao Leao talked about. According to Joao Jorn´s thinking was heading in the same direction as theories developed only in the late 1960’s by Roger Penrose, who proposed Twistor theory as a possible path to a theory of quantum gravity. 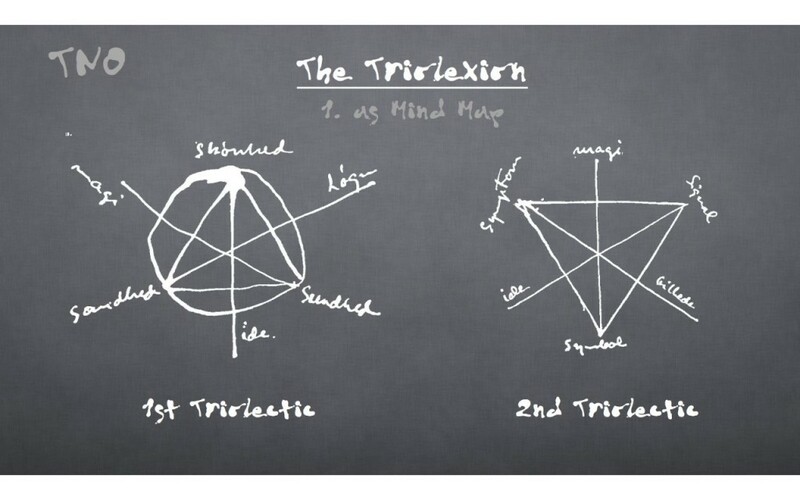 In theoretical and mathematical physics, twistor theory maps the geometric objects of conventional 3+1 space-time (Minkowski space) into geometric objects in a 4 dimensional space with metric signature (2,2). This space is called twistor space, and its complex valued coordinates are called “twistors.” According to Leao, Jorn was way ahead of his time, and his talk suitably ended with the exclamation “If only they had listened to him!”. For me, it is impossible to judge, but it definitely was an impressive end of the two-day seminar workshop. Hopefully, the organizers will be able to keep their promise and another publicly accessible seminar will take place in around one and a half year from now. I would very much like to attend. Question for Joao: Joao, I think that you were the one telling me that if I would understand Jorn’s triolectics, I would basically understand the essence of his thinking. 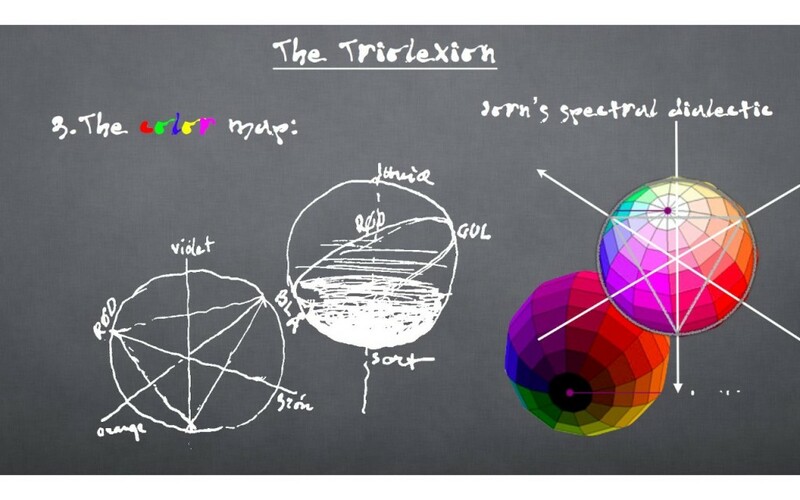 Triolectics is inextricably connected to what Jorn thought about Bohr’s theory of complementarity. 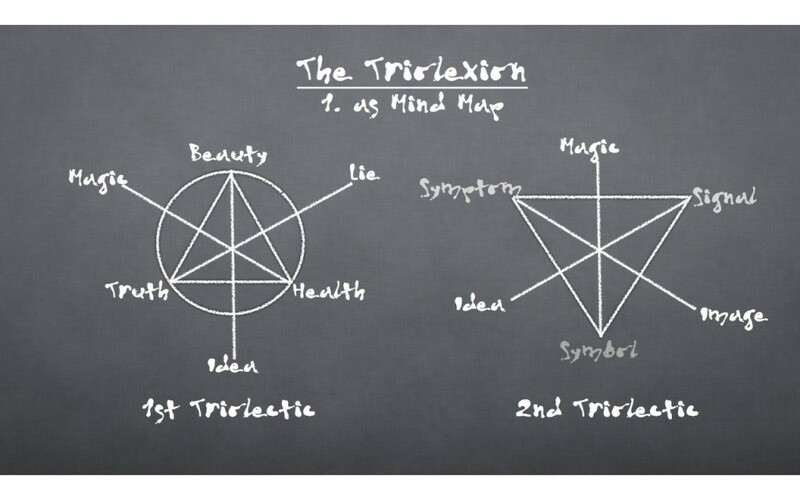 If you would have to explain triolectics to an uninformed audience, how would you go about? Joao: To try and answer your question: Yes, I think the whole idea of Triolectics is quite a good starting point to understanding Jorn’s way of thinking which had permanent dimensions of irony, pragmatism, playfulness and a constant craving for disruption, synthesis and free-association. 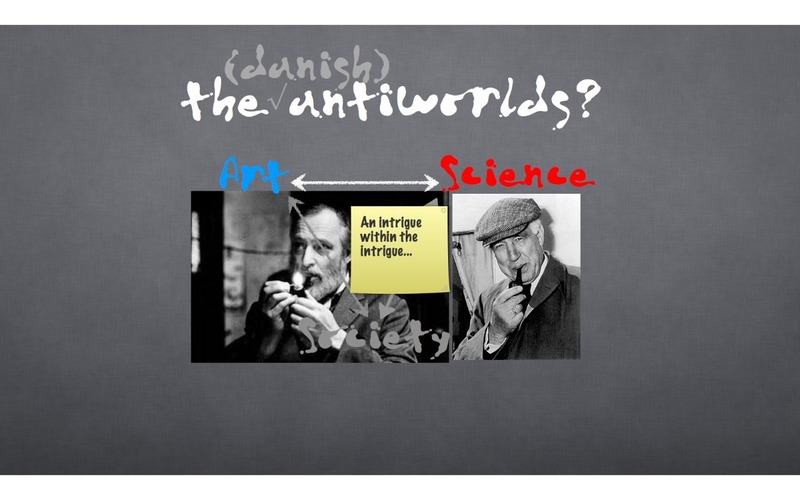 What I have learned from Troels Andersen in Silkeborg also leads me to believe that, through the sixties Jorn was attempting to engage scientists in the same type of “joint ventures” he had with artists through the fifties. He was much less successful, though. His engagement with Bohr was sort of a grand rehearsal, perhaps. I would NOT say that triolectics is inextricably connected to Bohr’s complementarity but that it is the outcome of a genuine detournement of complementarity and of the Copenhagen version of Quantum Mechanics in that it appropriates and expands the context of Bohr’s doctrines. There is an element of provocation in that Bohr wanted his idea to transcend physics and claimed that complementarity was already affecting other domains of experience, though his arguments for these instances were quite simplistic so Jorn also found triolectics recurring in a variety of contexts. The main difference, however, was that complementary relations were, by definition, unresolvable while triolectic relations suggested a number of intermediate compromises which amounted to creative resolutions. I think that Jorn’s invention of triolectic soccer is a marvelous illustration of this idea and also of the humorous nature of his proposal. He figured, for example, that if the two weaker teams cooperate they would have a decisive advantage over the stronger one that would only collapse when one of the two cooperant teams would hedge his alliance to finally turn against its partner. Wether this kind of strategy would pay off in quantum theory is a complicated question, of course. What I hope to show is that physics is very much moving in that direction these days. 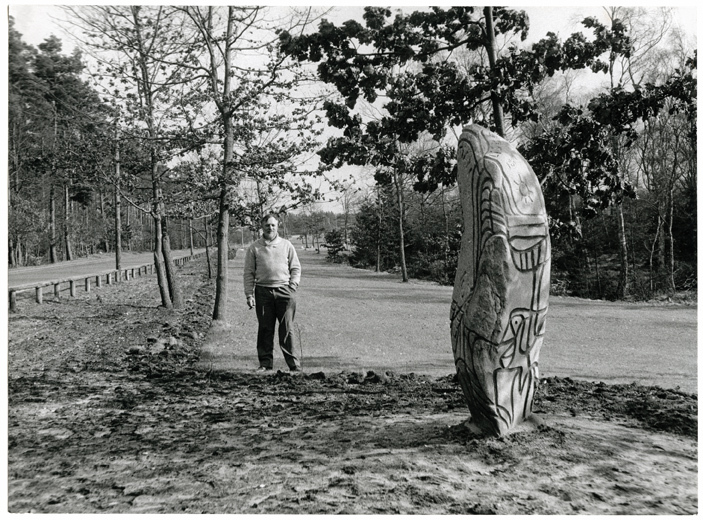 This is a brief report on Helle Anita Brøns’contribution to the ‘Cut and Thrust: Reconsidering Asger Jorn’ seminar workshop which took place at the Museum Jorn in March 2012. Below, you will also find her answer to my question about what she considers Jorn’s relevance today. The lecture by art historian Helle Anita Brøns discussed Jorn´s ideas on gender, a strong underlying topic in Jorn’s production – especially in one of his so-called reports of the Scandinavian Institute of Comparative Vandalism. This particular report – a book called Alpha and Omega –, mainly deals with creation myths, mythology and science and was published posthumously. When Peter Shield mentions Alpha and Omega briefly, he actually writes that it might have been published only after Jorn’s death: “because it also reveals (a) his current deep misogyny and a certain exasperation.” (The Natural Order and Other Texts, p. ix). Alpha and Omega so far hasn’t been translated into English, but Shield’s remark had made me extra curious to hear Brøns’ talk on Jorn and ‘Masculine Resistance’. Brøns opened her lecture with the statement that Jorn’s perspective on the relation between men and women should not only be explained in biographical terms because it is basic to his vision on art. To me this seemed a welcome critical, as well as thorough approach to Jorn in general. The relation between men and women is also the topic of various paintings by Jorn in which according to Brøns “women are represented as omnipotent and seductive, and men have beast-like insides”. Even though I might not have necessarily seen the same characteristics in all works that Brøns showed, it is clear that the subject was not only of theoretical concern to Jorn. Brøns’ presentation resulted in a moment of slightly embarrassed or perhaps surprised silence/laughter when she quoted Jorn saying that “women are necessary for reproduction whereas men have a surplus energy left for creative production”. This quotation was however counterbalanced with another one: “Western culture has turned itself into a masculine cliff, that will and must fall”. Eventually, Brøns sketched a nuanced image of Jorn’s perspective and struggle, also positioning him in a post war period in which masculine (and feminine) values were being redefined. Within this ‘struggle’ Jorn also challenged the gender patterns of his time, and defended concerns that were traditionally connected to femininity, although unfortunately not always with a positive outcome for what he himself considered feminine characteristics. Instead of focusing solely on Jorn’s inability or unwillingness to adopt a view on gender where the female is not being identified from the male – such as Jorn’s long-term friend, the notorious debater and ‘Amazon’ Else Grass was advocating – Brøns suggested to focus on the ironic and ambivalent aspects in Jorn work and thinking, and to explore if the critical potential of his work is still valid. 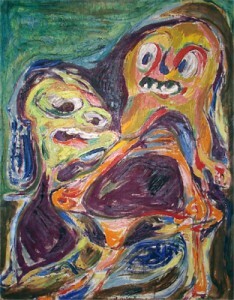 HdB: Could you expand on in what way you think the critical potential of Jorn’s work could still be valid to us today? HB: Thank you for your nice summery of my talk. I raised the question whether the critical and political potential of Jorn’s art is still valid in cases where he ends up supporting the existing patriarchal, heterosexual power structures? Do Jorn’s sometimes reactionary views on gender in art change our conception of him as a radical artist? Personally I think his engagement in gender issues reveals on the one hand his willingness to bring the gender roles into play and redefine the gendered values in art and society; and on the other hand it shows the limits of his modernist dialectic – and eventually triolectic – thinking. Or rather, not the limits of the triolectic itself but the way he formulates it when it comes to gender, not fulfilling the non-aggressive and dynamic potential of this theory. Jorn’s thoughts on gender could first and foremost serve to further nuance his position between spontaneous-abstract painting, critical avant-garde and philosophical theories that sometimes anticipate post-structuralist tendencies. Jorn’s own conclusions on gender issues of cause reflect the conception of gender at the time – and not the most advanced ones in that case. But it is noticeable that a new theory such as Karen Barad’s Agential Realism – which takes its vantage point in Niels Bohr’s theory of complementary just as Jorn did in his triolectics – makes specifically feminist conclusions from observations that are in many ways similar to Jorn’s (exceeding the classical contradiction between subject and object, mind and body, discursive and material). This goes to show, I think, that Jorn’s theoretical and artistic approaches generally have a lot of potential – though in the case of gender our contemporary engagement would reach different conclusions than Jorn did himself. Finally Jorn’s way of dealing with gender in art and theory is complex and he constantly shifts between polemically provocative, theoretically inquisitive, and humorously ironic approaches – a mix that I find very stimulating.